Members Advantage Community Credit Union brought in approximately 200 new loans in just two-and-a-half weeks in 2017 with a Black Friday special. The Black Friday loan terms also help members bridge paycheck-to-paycheck cash gaps while offering an opportunity to build credit. 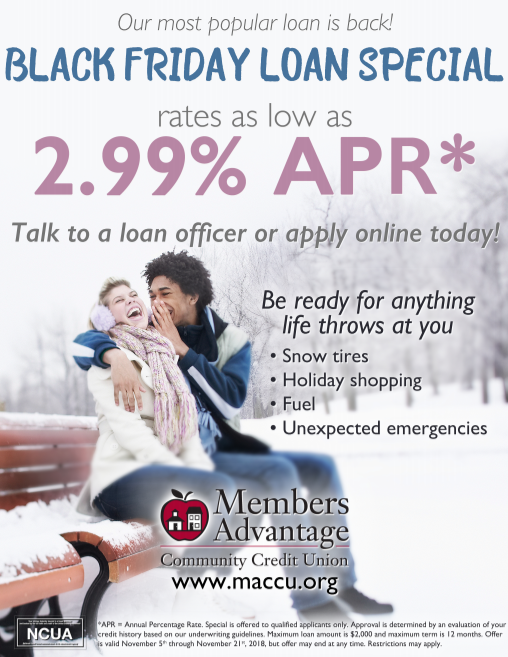 Members Advantage Community Credit Union ($132.5M, Barre, VT) started offering Black Friday loans a few years ago to give members cold hard cash for shopping. However, the credit union has learned over the years that the loans are popular with members for many non-holiday reasons. Here, Lindsay Hennekey, marketing manager of Members Advantage Community, shares how the marketing for the loan has evolved over the years and how the product serves multiple member needs while uncovering new opportunities for the credit union. How long has Members Advantage Community Credit Union offered a Black Friday special? 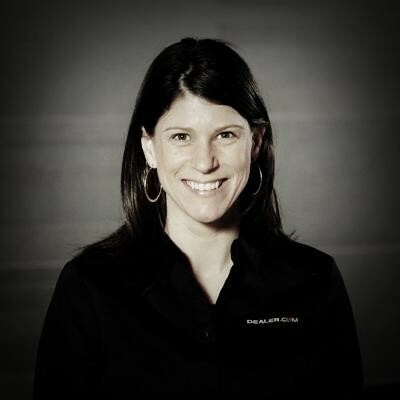 Lindsay Hennekey: We started it about 4 years ago. What has changed over the years? How are you re-branding for 2018? This evolved as it became evident our members looked forward to this promotion because they were in need of a low-rate loan. We now brand it as a “Be ready for winter and unexpected expenses” loan to help our members fill the paycheck-to-paycheck gap. Members Advantage Community Credit Union originally promoted its Black Friday loans as a cash-in-hand solution. It has since evolved the positioning and now encourages members to be ready for winter and unexpected expenses. Is it the promotion limited to one day, or does it run longer? What kind of results does it typically get? LH: We offer the loan for two-and-a-half weeks in November. This year it will be available from Nov. 5 to Nov. 21. We typically close 175 to 200 of these loans. Approximately eight to 10 of those are new members who heard or saw the advertising. Based on those low new membership numbers and the repeat borrowers year-over-year, we began to see a trend that our members needed the loan. We look at these loans to find opportunity within the borrowers for future loans. It’s a chance to pull credit on someone who borrowed the year before and see if their credit improved and is now a candidate for an auto loan we previously might not have approved. Our loan officers follow-up after the promotion with opportunities or financial guidance they can provide the borrowers. What advice do you have for how to best offer a Black Friday special? The credit union offers the loan for two-and-a-half weeks in November. LH: The credit union makes next to nothing from these loans. We turn them around quickly, and it’s become something we want to extend to our members and gain some new ones as a result. We fully underwrite the loans, but we do see a fair amount on our delinquency report. Depending on how a credit union underwrites, I recommend keeping the loan to a low dollar amount. Ours is a max of $2,000 at a 12-month term. The borrowers we get for this loan typically have a lower credit score, and a credit union can sell this as a credit-builder style loan as well. We encourage our loan officers to make that point.